There were two surprises at the Sixth National Forum on Access to Justice for those without Means held in London and organised through the aegis of a committee of the Civil Justice Council concerned with litigants in person. The first was positive: the speakers included some who were not British. The second less so: there was not a word on the finances of the proposed Online Solutions Court (OSC). The foreigners were represented by Christian Fleck from LexisNexis (German) and, from the the US, Katherine Alteneder of the Self Represented Litigants Network which she has led since 2013 and Kate Didech of CodeX: the Stanford Centre for Legal Informatics. There were, to be honest, so many contributors wedged into the day that their combined impact was somewhat muted. But, they hopefully herald a move to international comparison of the technology being explored by courts and legal service providers. Given that the OSC will prospectively transform the small claims jurisdiction – which is where most self-represented litigants are concentrated – the one slight disappointment of the conference was that more time was not given to exploring its plans and their implications. It merited one presentation by a senior member of the team at Her Majesty’s Courts and Tribunals Service (HMCTS). The HMCTS has, no doubt, spent much time seeking to overcome the scepticism of practitioners and judges for grand plans launched at a time when the basic wi-fi connection was a bit dodgy even at the central Royal Courts of Justice. There is nothing inherently wrong with great ambitions – though it might have been prudent to commit in principle but only actually spend real money once some other early adopter had made all the initial mistakes and learnt all the early lessons. Frustrating to the HMCTS team as it may be, they face another source of scepticism unrelated to technology. For the first time since the Second World War, a cogent case can be made that this government no longer pays as much heed to the demands of justice and access to it. Ministers have remained silent while the most senior judges in the land were traduced by newspapers that supported their party; the benefit system is being revamped in a way that is slicing into vulnerable people’s resources and that a Tory MP said recently reduced her to tears; the Supreme Court had to overturn deliberately prohibitive fees in employment cases; legal aid has been largely removed from divorcing couples and ‘poverty’ or ‘social welfare’ law cases. In such a context, we have to ask crucial financial questions about the Online Solutions Court which would underlie any commercial venture to set up a similar system – say, by an Amazon or a Google. After all, the OSC is being established against a background principle of financial self-sufficiency and no general subsidy for courts or judiciary. The allocation of costs within the system is already more than a little opaque. 1. What assumptions are being made about the finances of the OSC after the start up phase? Will it receive subsidy from the rest of the court service; be expected to break even; or to contribute surplus? 2. Will the cost of fee remission in the OSC be seen as a charge against the whole costs of the courts or set against the budget of the OSC? 3. What assumptions are being made about fees in the OSC? Is the HMCTS intending that current fees will be reduced? Will the level of fees be benchmarked against other jurisdictions? 4. What assumptions are being made about numbers entering the OSC? Will they be higher, the same or lower than at present? 5. What assumptions are being made about the percentage of cases that will enter the system but be resolved prior to issue of proceedings by the ‘solution explorer’ phase? Where will the burden of the costs of this pre-issue phase be born? This is the kind of planning information which we require as observers to make any judgement of the value of the new court – quite apart from any on its quality, use of data or effectiveness. HMCTS officials might well answer that Ministers have not yet made decisions on these matters. Well, that is just not how it would operate in the commercial environment to which the public sector aspires. These matters have to be decided now so that we can know how to respond and the government can know how eventually to make its case when legislation for the court finally appears before Parliament. If disclosed this information would facilitate the kind of trans-national benchmarking which we ought to be developing. 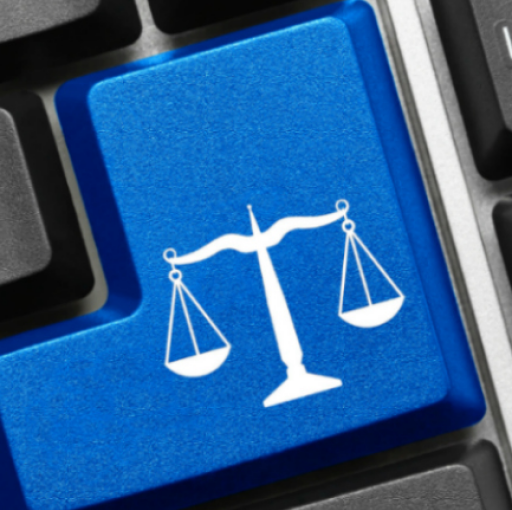 The ultimate policy goal should be to compare our online court with others in comparable jurisdictions (such as British Columbia) against a range of comparable benchmarks including user satisfaction, cost and time. Comparison among common law countries will, after all, be so much more politically acceptable once Brexit has ground its way to completion.